Posts from a freelance writer! Commuting is a tradition that probably dates back practically to the invention of the automobile. Over the decades, though, increased population density, urban sprawl and ever-increasing vehicle ownership have increased commute times substantially. Even worse, they’ve turned commuting into a miserable, environmentally damaging slog for many people. While we all know finding alternative ways of getting to work helps the environment, there are some other benefits. A daily drive to work doesn’t just seem to damage your health, it actually does damage your health in demonstrable ways. For example, it drives up your blood sugar levels, which increases your chances of developing diabetes. It also drives up your blood pressure. Higher blood pressure puts you at risk for heart disease and stroke. Commuting can cause chronic backaches, damage sleep quality and reduce cardiovascular health. Simply put, commuting is bad for you. Finding alternatives, such as public transit or riding a bicycle to work, helps offset these negative effects. There are millions of automobile accidents in the US every year. While many of these accidents are comparatively minor fender-benders, some of them cause serious injuries or death. There is a direct relationship between how much time you spend driving and your chances of getting into an accident. The less time you spend driving, the fewer chances you have of getting into an accident. As an added bonus, if you don’t get into an accident, you also don’t need to enlist the services of an automobile accident attorney. In addition to the physical costs associated with commuting, you also face costs to your overall well-being from a daily commute. A commute can create feelings of isolation and increase your stress levels. Both of these factors can cripple your sense of well-being. Switching from a daily drive to another mode of commuting, such as public transit, walking or biking can actually lead to an overall increase in your sense of well-being. This holds true even when other stressful events happen in your life. While car ownership and a daily commute might well be part of American culture, it doesn’t follow that commuting is a good thing. In fact, the evidence suggests it’s terrible for your health, mental well-being and overall risk. Giving up the daily drive for public transit, walking or biking is actually good for your health, well-being, and decreases your risks. As temperatures warm up in the spring, you can typically expect to see your water bill creep higher. One of the most significant reasons for this is because of extra water usage for lawn care and other exterior purposes. However, there are other reasons why your water bill may be higher during these seasons. Water waste is significant and problematic in many homes in the spring and summer. A closer look reveals how you may be able to rein in your water bills and save a substantial amount of money in the months ahead. 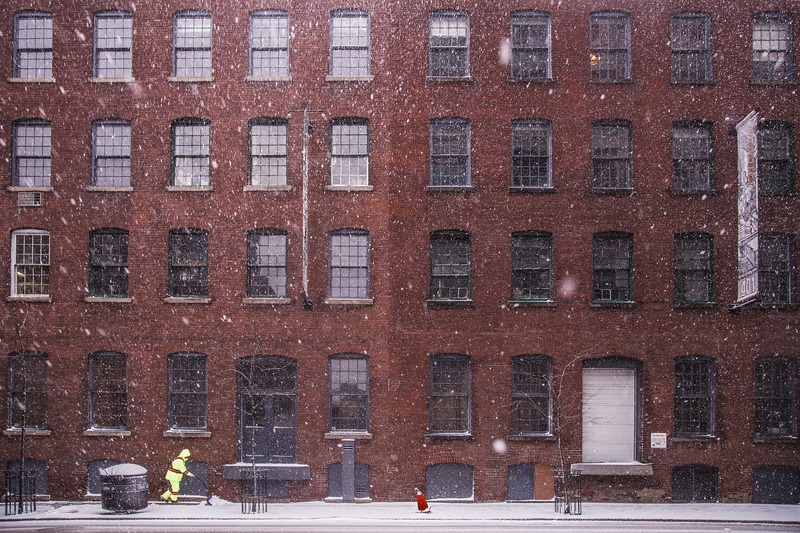 Once freezing temperatures have abated, any pipes that have ruptured over the winter may begin leaking water. Some of these issues are immediately apparent in the home. However, if the leaks are in your sprinkler system or other exterior pipes, they can be difficult to identify. Schedule plumbing maintenance in early spring to identify and repair these issues. Plumbing maintenance is also a smart way to address toilets that run frequently, slow drips in the bathroom faucet and other issues that can contribute to water waste in the home. If your sprinkler system is older or basic, it may not be equipped with weather sensors. Advanced systems can detect rain, humidity, temperature and other factors to determine how frequently your lawn requires hydration. 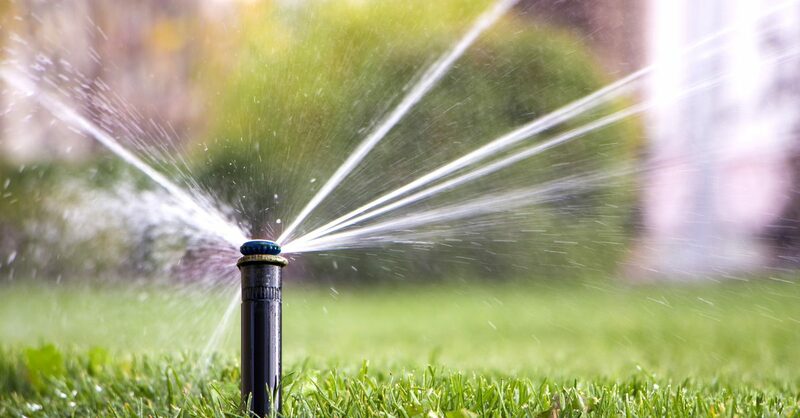 This prevents you from wasting water by running a sprinkler when hydration is not yet needed. When the concept of reducing your water bill originally came to mind, you may have thought about needing to make stressful and inconvenient changes in how you use water. While you could save money by cutting your time in the shower by half, you can see that there are easier ways to save water. Identify how each of these tips may apply to your home, and implement them today to enjoy immediate results. When spring arrives, a new growing season begins. This is a time when you expect your yard’s dormant vegetation to become rejuvenated. Unfortunately, many people are dismayed to realize that their lawn is not as green and healthy as they hoped. If your lawn is patchy, has brown spots or is showing other signs of trouble, you may use some of these tips to revive your lawn and to get the curb appeal that you desire. With warm spring temperatures and hydrating rain showers, weeds that were dormant all winter will sprout up quickly. Weeds will crowd out your grass. Eventually, you may have a yard full of weeds rather than healthy grass. You may also have brown or bare spots as a result. There are a few different ways to get rid of weeds. You can pull the weeds out by hand. You can also apply various products to the lawn. For example, some broadleaf weed killers will kill the weeds and not the grass. You may decide to kill all vegetation by applying various household products to the soil. This will give you a blank slate to plant new grass. If your lawn is looking generally unhealthy, the reason may be because of compacted soil. Soil has a tendency to become more compact over time because of various weather conditions. When it is firmly compacted, water and fresh air will not be able to reach the plant roots as easily. Professional aeration can loosen the soil and ensure that vegetation roots have access to the fresh air and water that they need for optimal health. Regardless of whether you have decided to start from scratch and use lawn installation services for a brand-new lawn or you simply want to fill in some patches of dirt, bringing new grass into your space may be necessary. To determine the right approach, consider your budget as well as the current state of your lawn. It makes sense to kill weeds and prepare the soil through aeration and even fertilization before planting new grass seed or plugs. After you take these steps, remember that regular yard maintenance is required to nurture your lawn back to health and to maintain it in a healthy state. This includes regular mowing and edging, watering and fertilization. If you continue to struggle to achieve the beautiful curb appeal that you desire, using professional lawn care services is an excellent idea. Installing solar panels and enjoying the benefit of free green energy is a common goal shared by many homeowners. Now that you have decided to finally move forward with this project, you may be eager to get the ball rolling. Some homeowners in your shoes have been dismayed to run into issues when installing solar panels that may have otherwise been prevented with forethought and planning. These are some of the more common solar panel installation problems that may affect your upcoming project. Solar panels may look relatively light, but their appearance is misleading. The actual weight depends on the type of panels that you select, but many roofs have not been designed to withstand the weight of a full set of typical solar panels. You can avoid learning about this problem in the middle of a solar panel installation project by consulting with a roofing contractor ahead of time. The solar panel installation process takes time, energy and money, so you understandably want to maximize the benefit of this effort. A typical asphalt shingle roof has a lifespan of approximately 25 years, although there is a considerable variation to this based on weather conditions, maintenance, and many other factors. Installing new solar panels on an older roof that requires replacement soon is not wise. If your roof is close to the end of its life, it makes sense to replace it before installing new panels. When your roof was constructed, its purpose was to protect the home from exposure to the elements by creating an impermeable barrier. Its design is based on the concept that water will flow downward without hindrance. Solar panels create blockages that your roof was not designed for initially. Consulting with a roofer will help you to determine if any additional steps need to be taken to ensure the integrity of your roof. As beneficial as solar panel installation can be for the environment and for your budget, it is not without challenges. These are a few common problems that you may run into, and you can see that they pertain to the roof. Because solar panels are mounted to the roof, it makes sense to ensure that your roof is in good condition and can tolerate this installation before beginning the project. Now is a great time to contact a licensed roofer for more information about preparatory steps that may be needed. Living in a beautiful historic home may be a dream come true, but this type of living experience can be stressful, expensive and inconvenient in specific ways. For example, unless the home has been recently and thoroughly renovated, it may be generating waste in various ways. This waste may result in higher expenses, environmental concerns and other issues that you understandably want to avoid as much as possible. These are some of the many steps that you may take to reduce waste in your historic home. 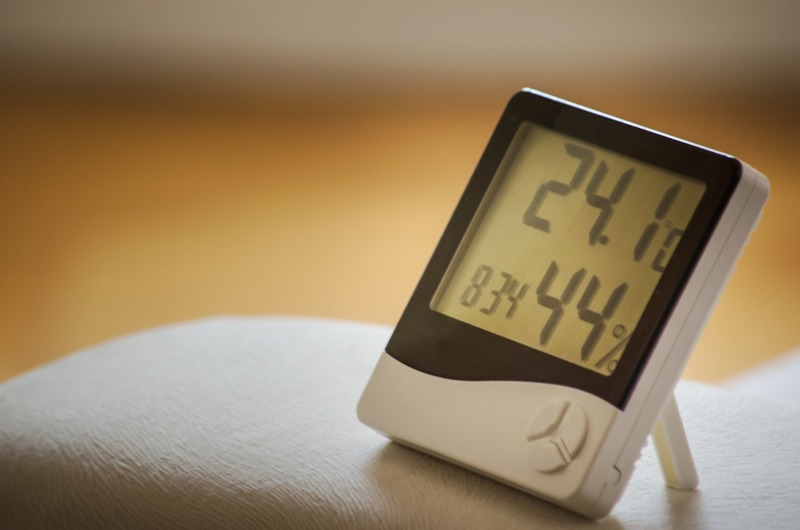 Maintaining a desirable climate indoors in an older home can consume much more energy than may be required in a newer home with an equivalent size. This can place a considerable amount of strain on your heating and cooling system. Over time, this additional strain may result in equipment damage that creates additional inefficiency. A smart idea is to schedule AC and heating system maintenance annually to erase signs of wear and tear for optimal efficiency. This may reduce energy bills and decrease the environmental impact. Regardless of whether you live in an older or a newer home, seals around doors and windows can deteriorate rapidly. In fact, most homes need new seals every year or two. If you have not resealed your home’s doors and windows recently, now may be the time to do so. In addition to eliminating unnecessary energy waste, it can help you to stay more comfortable indoors by eliminating drafts. This is a simple and affordable project that you may be able to complete on your own. Another smart way to reduce energy waste and to improve your home’s interior environment is to upgrade insulation. Over time, insulation may deteriorate. It may also become damaged by pests, exposure to water from plumbing leaks and more. Furthermore, insulation that was installed many years ago may not be as effective as new types on the market today. This is a smart, cost-effective to modernize your historic home without impacting its character at all. The charm of a historic home resides in its layout, architectural detail and even quality materials. While you understandably want to modernize your home so that you can reduce or eliminate unnecessary waste, you do not want to impact its gorgeous design elements. Each of these tips may help you to improve your historic home dramatically. However, you should review your home to assess its specific and most pertinent needs before acting. Throughout a typical day, you may use several different types of electronic devices regularly. These devices will eventually wear out or break with heavy use, or they may become obsolete as new technology is introduced. While you could toss old electronics into the trash, they would sit in the landfill for centuries because of a slow rate of decomposition. With some devices, harmful pollutants may enter the environment if they are not disposed of properly. With this in mind, you need to find responsible ways to deal with electronic waste. Before you decide how to proceed, spend time reviewing local laws and regulations that may impact your decision. In some areas, specific types of waste cannot legally be tossed away. Laws may specifically dictate how these items must be dealt with, such as through an electronics recycling program. These programs may be offered through local government organizations or waste management providers in some cases. If you are retiring electronics that are still in good condition, these items may be useful to other people. The latest technological devices may be important or essential to you, but slightly older devices with moderately outdated technology may suffice for others. Therefore, donating your items to a charitable organization may be an effective and responsible way to get rid of unwanted electronics. You may even enjoy a tax benefit in exchange for your donation. In some cases, selling these items for a small profit may make sense. 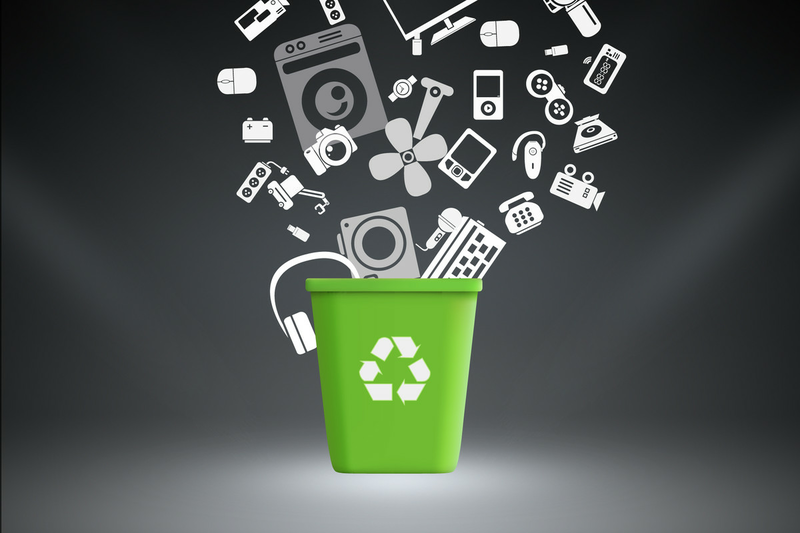 Depending on the type of electronics that you need to get rid of today, you may be able to recycle them. For example, there are kiosks in many stores that accept used smartphones, and they may even give you a small financial benefit if you recycle your devices in this way. Laptop recycling and other similar programs are also available in some areas. If you cannot find a local program, keep in mind that there are several websites that offer these services as well. Because they accept mail-in items, these options may be suitable regardless of where you live. Tossing your old electronics in the trash may be the most convenient way to deal with unwanted waste, but this is not the most responsible method available. Depending on the type of electronics that you need to get rid of today, consider how each of these smart tips may help you to find a responsible way to do so. When you think about green home living, things, like reducing energy consumption, recycling and conserving water, may come to mind. However, you cannot overlook the importance of your impact on wastewater as well. While wastewater can be treated, the treatment capabilities in different areas varies. In many cases, phosphorous, nitrates and other pollutants may remain in the treated water in small amounts. This means that the fresh water that enters your home may not be as pure and clean as you may think. By understanding and adjusting your own impact on wastewater, you may be able to do your part to reduce pollution and to lead a greener life at home. The two primary impacts that may affect pollution in sewage systems from residential runoff are the amount of runoff that flows off of your property and the chemicals that are in that water. Therefore, avoiding the use of chemicals on your property is essential. This may be accomplished by using natural fertilizers rather than chemical fertilizers. You can also use natural pest control methods rather than harsh chemical products. In addition to avoiding the use of chemical products on your property, you can also use rain collection methods to harvest rainwater and use it beneficially rather than to allow it to run off of your property in large quantities. In-home wastewater from flushing the toilet and using the shower, tub and sink drains also should be a focal point. Wastewater treatment plants are designed to treat typical waste from these features, but some people put other things down their pipes and drains that may be more difficult for treatment plants to remove. For example, some people flush unused prescription medications down the toilet or use chemical drain cleaning products. 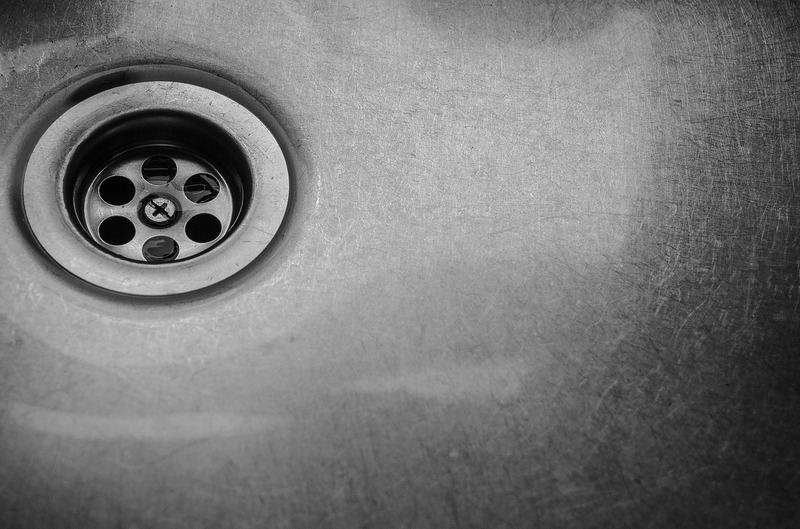 These and other unintended uses of the wastewater system can have a harsh impact on the quality of treated water that re-enters your home later. Disposing of all waste properly and calling a plumber for assistance with clogged drains are helpful steps to improve your green lifestyle at home. Now that you understand more about the impact that your current lifestyle may be having on the environment through wastewater, you can take proactive steps to improve in these areas. When in doubt about the impact that a certain activity may have on the public water supply, research the activity online. This can help you to make informed decisions that ultimately may promote the health of the environment. Poor outdoor air quality is a serious concern because it can have both immediate and long-term effects on your health. It is easy to assume that outdoor air quality would not affect you while indoors, but this is not the case. Outdoor pollutants may enter the home through open doors and windows, smaller or larger gaps in the exterior of the home and more. These pollutants can combine with indoor pollutants to create truly unhealthy air quality in your home. By following these essential tips, you can promote healthier indoor air quality at home. Your air conditioning and heating system is designed to circulate air throughout the home. By doing so, it also circulates pollutants. Over time, the components may get filthy, and this can contribute to poor indoor air quality. It may also cause energy inefficiency until you schedule heating and air conditioning repair service. In addition to keeping your HVAC system well-maintained, you should replace the air filters regularly for superior air quality. Purifying your air essentially means that you are removing pollutants that ultimately may cause illness or disease. By investing in a high-quality air purifier, you can remove many potentially hazardous elements from your home’s air. Keep in mind that plants are natural air purifiers. In addition to having a purifying device, keeping at least a few houseplants in your home can have positive effects. 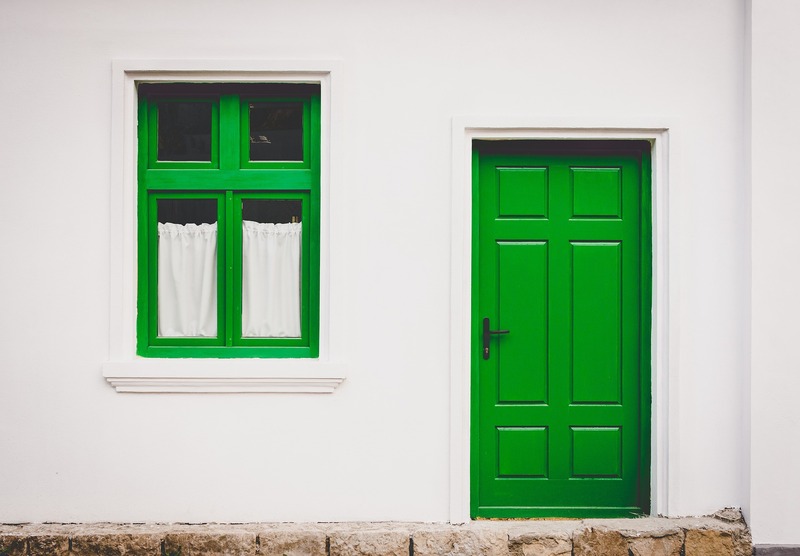 While trace pollutants may enter your home through small gaps and fissures throughout the exterior, open doors and windows enable pollutants to stream into the home. 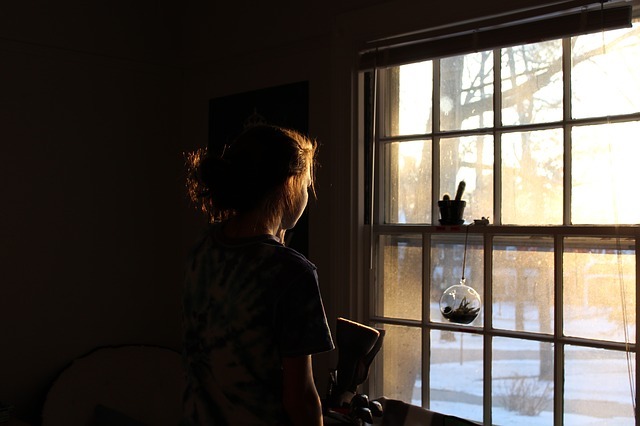 You may think that opening doors and windows allows fresh air to enter the home, but the opposite may occur. Keeping doors and windows closed as much as possible is most beneficial for indoor air quality in many cases. Replacing seals around exterior doors and windows is also beneficial. Because you spend many long hours at home each day, you understandably need this air to be as clean and fresh as possible. Both indoor and outdoor pollutants can be problematic, and their level can increase over time. To improve indoor air quality, it is necessary to prevent outdoor pollutants from entering the home as much as well. It is equally essential to remove pollutants through various purification methods. By taking these steps, you can promote a healthier indoor environment and potentially keep many related health issues at bay. No matter your stance on global warming, everyone can agree that living “green” is a good idea. After all, it’s always good to take care of the environment and save a lot of money in the process. If you’ve gone down the green living path, you may think you’re living just about as efficiently as you can. However, if you haven’t considered your heating system, all those other green living practices could end up negated. Here are a few ways to ensure your heating system is matching the green goals of the rest of your lifestyle. Even if you have a newer heating system, a dirty filter will quickly make it largely inefficient. Dirty filters make it much harder for the system to ingest air, causing the blower motor to work harder, resulting in increased electricity usage and extra wear and tear. It’s a good idea to check your filters at least once a month to see if they need to be changed, though if you live in a dusty climate or frequently have your windows open, you may want to check your filter more frequently. Before the cooler weather really sets in, it’s important to have a professional HVAC company take a look at your heating system to ensure it’s in peak operating condition. Dust and dirt can accumulate on various components throughout your system, causing it to operate less efficiently. In addition, individual components within the system may wear out or stop working altogether, requiring replacement to ensure your system works well. 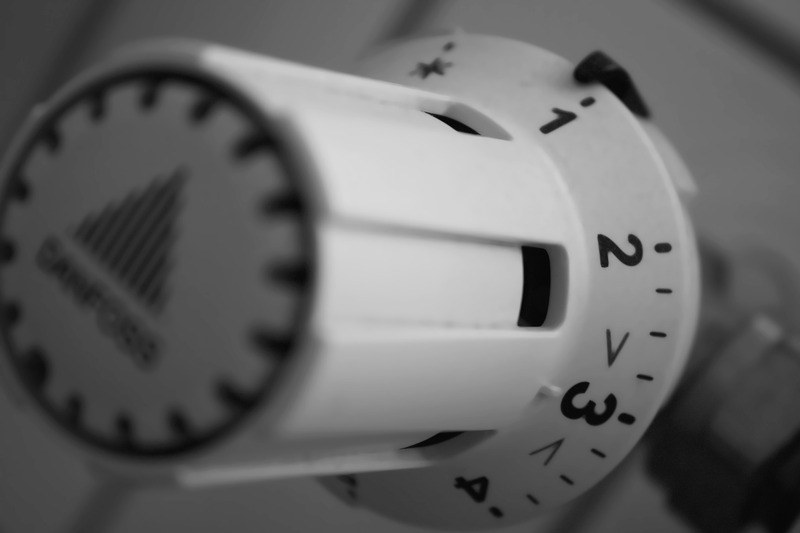 If you have a central heating system, it’s important to ensure that your system is only heating the parts of your home that are actually occupied. Otherwise, you’ll be paying extra money and using extra energy to heat air that will never be enjoyed. You can direct the heat by closing the registers in unused rooms, and then keeping the doors closed to those rooms so the cooler air within them doesn’t cool down the rest of your home. At some point, even the highest-quality heating systems will need to be replaced. As your system heads toward the end of its life, it will continue to become less efficient, no matter what steps you take. It’s important to have your new system installed by qualified HVAC professionals to ensure that it’s installed properly to ensure it can heat your home efficiently for many years to come. Then, once you have it installed, it’s important to follow the tips above to keep it working at its best. The best way to keep your heating system from working too hard is to prevent the heat it produces from escaping your home. This is only possible through proper insulation techniques, from wall and attic insulation to proper caulking around doors and windows. When you combine proper insulation with an efficient heating system, you end up with a powerful combination that will keep you warm and comfortable while allowing you to maintain your green lifestyle. Many people are increasingly concerned about the environment, and they have already taken substantial efforts to change their own lifestyle. For example, many drivers have traded in gas-guzzlers for more fuel-efficient vehicles, and buying organic, locally-sourced foods is increasingly common. You may not realize it, but the local infrastructure in your area also plays a major role in global conservation efforts. These are some of the many ways that your local infrastructure is essential to a healthy planet. 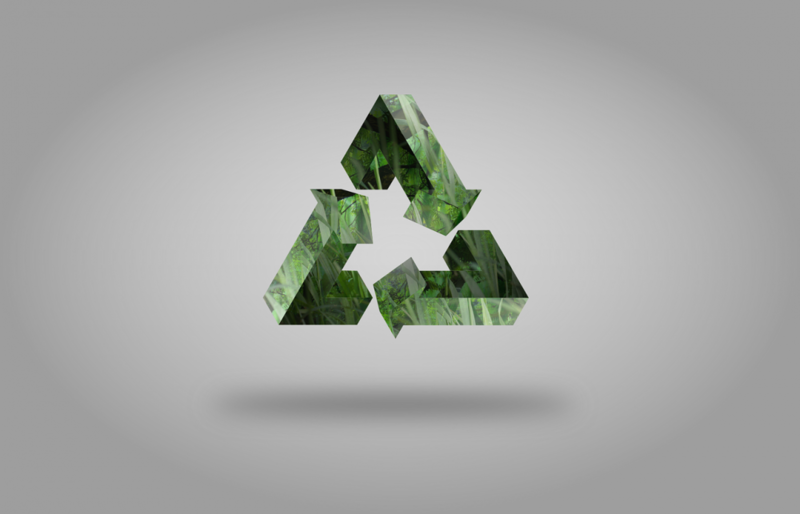 Your local municipal services may include a recycling program. Some municipalities provide recycling facilities where you can drop off your items at a convenient time around your own schedule, and they may also have collection bins located around town so that you do not have to drive as far to drop off your items. Other cities have curbside pickup at your home at least once or twice per week. In some cases, participation in recycling programs is mandatory. The effectiveness of these campaigns directly links to pollution on a global scale. A considerable amount of pollution is generated through the use of personal vehicles. Public transportation enables local residents to get around town while minimizing the amount of pollution that is generated as a result. Some cities only offer public bus service. Others also have light rail, subways, public-use bikes, public-use motorized scooters and more. Some of these methods also may have an impact on the use of non-renewable fossil fuels as well. These public services also require the help of companies like icunj.us for engineering work that facilitates their transportation plans. Fresh water is in short supply in many areas, so keeping the public water supply well-maintained is essential. Consider that a small leak in a water main line may go unnoticed for many months, and this allows a considerable amount of fresh water to be lost. In addition, sewage waste must be well-contained to prevent unnecessary contamination in the environment. Trenchless sewer repair is a one way that wastewater pipes may be repaired, and this method has minimal impact on the local environment. For relevant local information, you can search something like ‘trenchless sewer repair for industrial roads in NJ’ and see what these services entail. The health of the entire planet may seem to be a much larger issue than you have control over. However, each individual effort, as well as the localized efforts at a citywide level, can play a major role in environmental conservation. Keep in mind that you only have control over your actions, so doing your best to promote a healthy environment is essential. In addition to improving personal efforts, consider being a catalyst for change in your community. Making green home improvements makes a lot of sense from a health, comfort and financial perspective. With an increasing emphasis on minimizing the climate crisis and making homes as healthy as possible, homeowners and builders are focusing on increasing the number of features that save energy and promote healthier living. 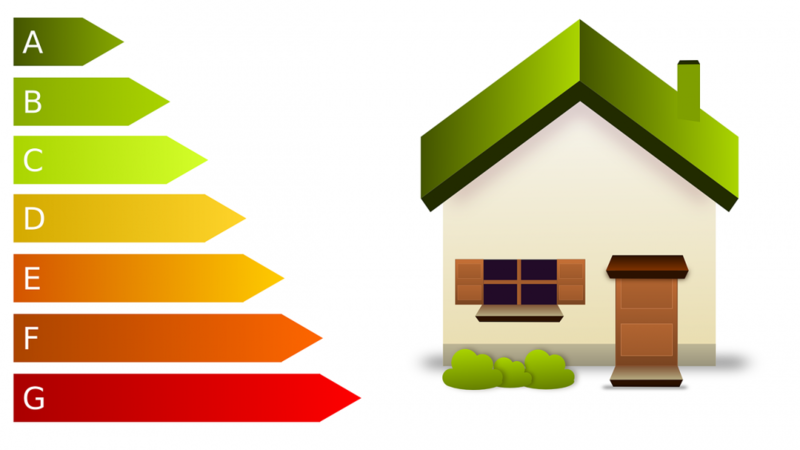 While the rate of appreciation for a home’s highly variable, all other things being equal, a green home will appreciate faster than a less energy efficient unit. There are a number of reasons for higher appreciation. Homes with higher efficiency are in greater demand, which is the primary force behind home appreciation. They also have lower energy bills, something that ranks high with many home buyers. If you live in a neighborhood of older homes and you want to increase the value of your home, make improvements to the insulation, particularly in the attic. If the HVAC system is old, chances are your heating and cooling bills are high. Installing a new one will add value to your home and lowers your heating and cooling costs. You and your financial consultant can explore how important faster home appreciation is. If you don’t have a consultant, you can search something like ‘NJ individual wealth management’ for your area to find one. Your home is probably your most important asset and when it increases in value faster, so does your net worth. Indoor air quality (IAQ) is an important part of achieving a green home and the easiest way to achieve good IAQ is by using products that don’t emit harmful volatile organic compounds (VOCs). These gases cause physical symptoms from mild to serious like headaches and sore throats to cancer or neurological system disorders. There’s a long list of materials used in daily life and for home construction and remodeling that contain VOCs. Fortunately, it’s getting easier to find alternatives that keep IAQ high. Look for remodeling products labeled as low in VOCs or are VOC-free. Some carry clean air labels, like paint and flooring products. It’s getting easier to find household products that have no to few VOCs. Look for natural cleaners, products without perfumes and candles made from beeswax or soy. Avoid anything made from paraffin. Some Green home upgrades run at a higher cost than their less environmentally friendly counterparts, so make sure you factor that into your budget. While there is no price you can place on health, you still need to budget well to afford these upgrades. As mentioned above, a financial service provider like rmrwealth.com can be very helpful when planning and executing home improvements. Homes that have high IAQ may have balanced ventilation systems that pull in as much fresh air as they exhaust. The U.S. EPA has found that indoor air can be much more polluted than the worst outdoor air. The greenest products used for ventilation are heat and energy recovery ventilators. These devices transfer the thermal energy from the outgoing air into the incoming air, which eliminates the cost of heating or cooling outdoor air. Anything you can do to make your home greener in the short and long term helps your financial and personal health. You can start by doing something as easy as changing the cleaning products you buy or as challenging as making major improvements to its structure. Whatever it is, it will better your life by making it more comfortable. Your AC unit could have a big impact on the quality of air in your office. If you have an AC unit that works properly, it could positively impact your air quality. A system that is faulty or hasn’t been properly maintained might have a negative impact on air quality. If your AC system is working properly, it should handle the air pollution the right way. The system needs to work to make sure it’s effective and that’s an important part of the way it contributes to the quality of the indoor air. Whether you have ducted reverse cycle air conditioning or another type of system can make a huge impact on your air quality. You must have an air conditioning system that works for your building and is able to meet the needs of your office. If you don’t have the right type of system, you might not be getting the best quality air. Even if your unit is new or if you feel you’ll know when there is an issue, you still need to have it maintained. Regular maintenance is important because it gives the technician a chance to look at the AC unit and see if there is anything wrong with it. Catching a problem right away can be the difference in a small repair bill and a major overhaul of the whole system. Even if your AC unit is working the right way, it might not be giving you the best quality air in your office. It’s important to make sure that you know what to look for with your unit and you keep track of air quality. Any changes that you make to the AC could affect the quality of air that’s put out from the AC. Change the filter regularly, don’t make any changes the AC unit and make sure you know when to have it properly maintained. Any major changes could cause an issue with air quality and could also risk damaging your AC unit in the process. Whether you want to keep your office cool or you want to truly focus on air quality, there are things you can do to make your AC better. The higher efficiency of the system, the better chance you’ll have for increased air quality. Many businesses have already adopted green business practices, and some are completely self-sustaining. These businesses may benefit by saving a substantial amount of money regularly. In addition, green practices may have excellent public relations benefits, and they may even bolster your employee retention rate. If you are thinking about making green improvements in your business soon, there are a few of the essential things required to achieve your goal. There may be some green steps that your business can take at minimal cost, such as by implementing a recycling program. However, other steps may cost a small fortune, such as the investment and installation of solar panels. Creating a budget is an essential first step. As you prepare a green improvement budget, research tax benefits, rebates and other savings offers available that could decrease the cost of at least some of your improvements. It is also important to have a strategic plan for the selection and installation or implementation of various green improvements. Keep in mind that some of your updates may be governed by energy or infrastructure law. With this in mind, your strategic plan should be created after a consultation with an experienced lawyer who specializes in this area of the law. Your plan should also take into account your local climate and environment. 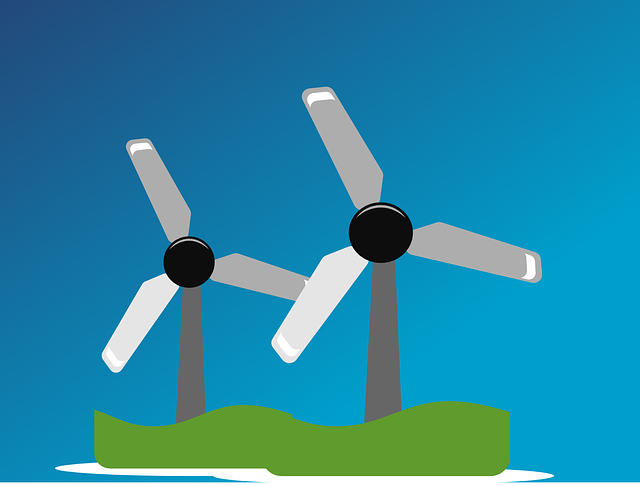 For example, solar panels may be a great idea for an area with many sunny days each year, but wind energy may be a smarter investment if your business is located in a windy area, such as off of a bay. If your business is located in a major metropolitan area, you likely have convenient access to many green energy service providers, such as those that specialize in solar panel installation services. On the other hand, your business may be located in a more remote area. You could potentially contract with a service provider from farther away to complete installation work. However, the availability of services should be considered as you create a thoughtful plan. Businesses that have already taken steps to be more environmentally-friendly have enjoyed exceptional benefits. You understandably want to benefit in these ways as well. Because each business has different activities and is located in a unique area, creating a customized plan is essential. 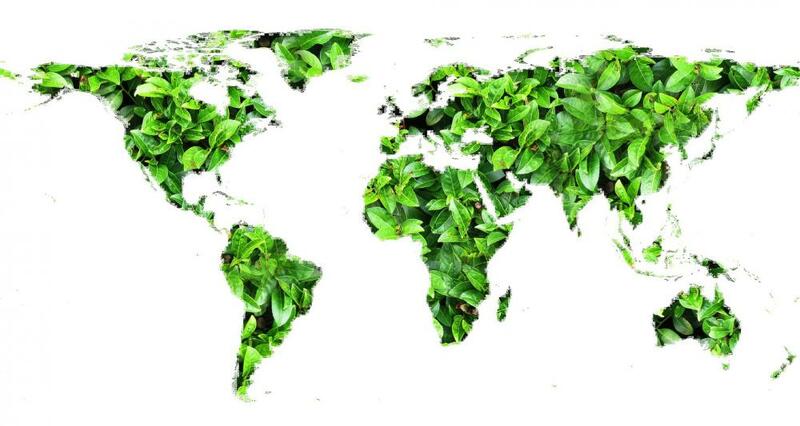 Keep in mind that things, like having a remote workforce and investing in electric cars for your fleet, are a few of the many additional steps that you can take to go green. 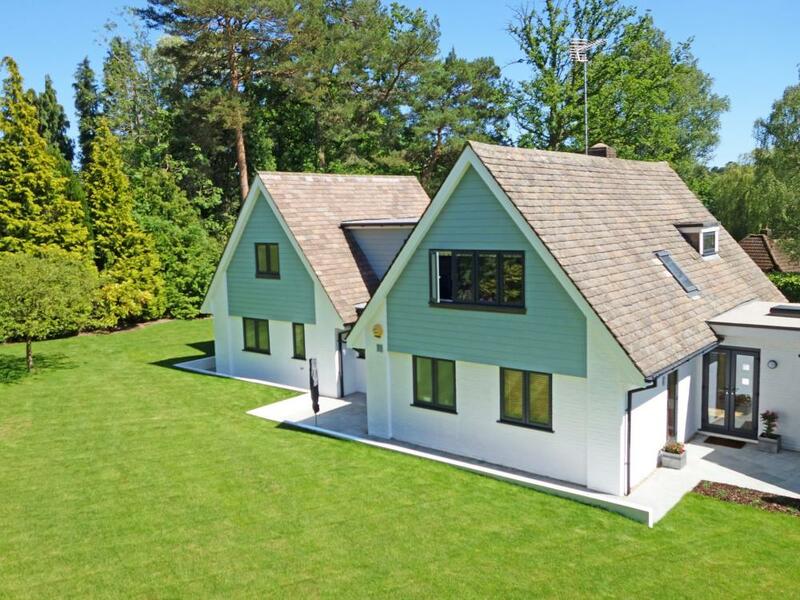 For the last several years, the idea of building a tiny home and having a scaled-down living experience has been increasing in popularity across the country. While it may have started out as a unique housing option that inspired curiosity, it now has gained traction and is the preferred way of life for many people regardless of age and other demographic factors. If you have been thinking about taking the plunge and building a tiny home, there has never been a better time than now to get started. Interest rates have slowly been rising, and this affects the cost of a new mortgage as well as the cost of credit card debt, car loans and more. Many people choose to live in a tiny home to reduce their debt balances and to save money. The affordability of a tiny home makes it easier to pay off debts and to maintain a debt-free status. While there is never certainty with regards to economic conditions, interest rates may continue to trend upward and make debt an even more burdensome problem. The most common and traditional tiny home option is to build your own home using lumber, drywall, and other basic housing materials. The result is a tiny home with the façade of a standard home, and this option remains for tiny home enthusiasts. However, creative options are increasingly embraced in the tiny home community. For example, many people have chosen to live in renovated shipping containers to save money, to reduce waste and to enjoy other exceptional benefits. When you build a tiny home, you must decide where to place the home. These homes are somewhat mobile, but they generally should find a permanent place to sit. The primary option years ago was to purchase a piece of land or to place the home on a large estate that a family member owned. Today, there is an increasing number of tiny home communities. If you choose to live in one of these communities, you have the ability to enjoy the neighborhood lifestyle that many people prefer. Living in a tiny house is not ideal or comfortable for everyone, but it is a growing trend that offers incredible benefits. 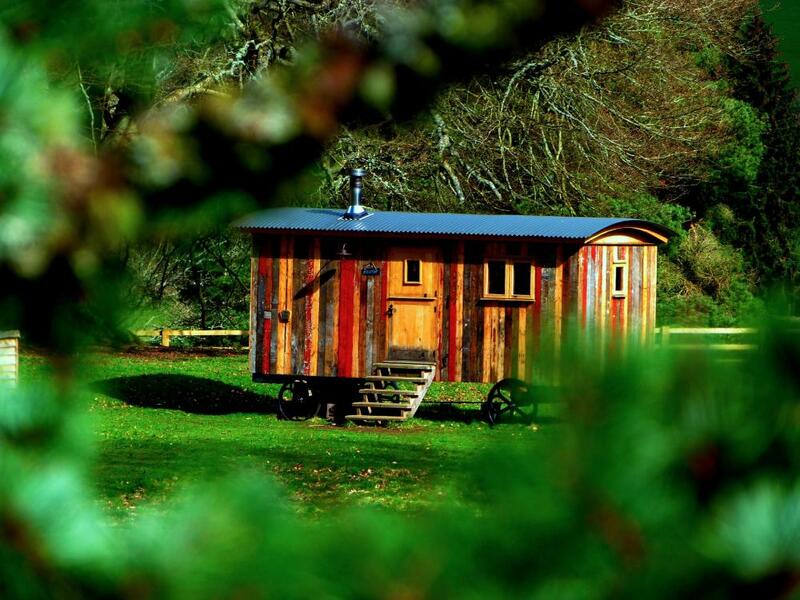 Regardless of whether you are inspired to live a simpler life, to save money or to reduce your footprint, you can see that now is the ideal time to begin seriously exploring the options and making plans to build your tiny home. Waste is a serious issue in our industrialized world. The more convenient we make our every day lives, the more waste we seem to produce. There are better ways to achieve convenience while reducing the amount of waste produced. Every industry relies on the use of small equipment. Dollies are used to haul large shipments of boxes or heavy materials. Electronic scales are required to measure the weight of products and materials in several industries. Portable wireless radios help staff members or construction workers communicate quickly and easily to coordinate efforts. When you begin to look for ways to improve your industry by reducing the amount of waste your business produces, consider renting your small equipment in place of purchasing it. Using rental companies, such as radio equipment rental companies like altechradio.com, allows you to use the equipment required for your business while reducing the amount of waste produced. Since you don’t own the equipment, you’re not responsible for its disposal. Finding rentals is as simple as searching Google for something like “radio equipment rentals in NYC” and looking through the results. Whether you work in the restaurant industry or you run a construction company with hungry construction workers, you’re going to encounter instances where you’ll be dealing with unsold food or partially eaten leftovers. This will be more prevalent in the restaurant industry, the supermarket industry, and the food processing industry. Thanks to the efforts in France, it is now legal precedent to donate old or unsold food to local food banks to reduce a growing global issue of excessive food waste. Within the restaurant industry, popular coffee shops have taken the initiative to donate their unsold food to local food banks to reduce the amount of food waste that’s tossed into landfills every day. For food that’s been partially eaten, a compost pile can be started to turn organic food waste into fertile compost for gardens and flower pots. This is a way to return those wasted vitamins and nutrients to the soil in order to grow new food and continue the cycle of life. To help reduce the amount of waste in landfills and the environmental impact plastic and styrofoam have on the environment, scientists have created a line of biodegradable products that can be used in various industries. These products, once thrown away, will naturally erode from exposure to the elements to leave no toxic residue behind. If you’re looking to make your business more eco-friendly, start by implementing these forward-thinking improvements. Not only are these improvements friendly to the environment, but they’re also friendly towards your community.